Actor Will Ferrell, dressed as the character Ron Burgundy, poses for photographers upon arrival at the 2013 MTV Europe Music Awards, in Amsterdam, Netherlands, Sunday, Nov. 10, 2013. The Volusia County Sheriff's Office says the Deltona man was in his backyard Wednesday morning when he was shot in the chest. Authorities say a neighbor had built a shooting range and it was possible that a stray bullet from the range struck the victim. Officers say they bought the lottery tickets with their own money to spread a bit of holiday cheer while ensuring public safety. The scratch-off tickets were issued to drivers pulled over for speeding or other traffic violations. 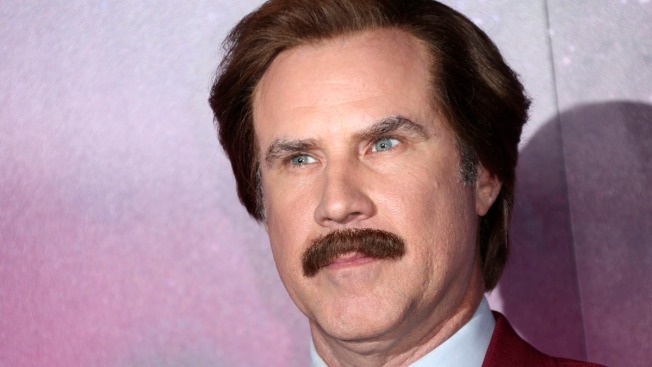 Comedian Will Ferrell has said the inspiration for his Ron Burgundy character in the ``Anchorman'' movies was Mort Crim, who retired to northeast Florida in 1998. Crim says the film is a satire and he doesn't take offense to Ferrell's performance. Crim and his wife went to the Dec. 15 premiere of ``Anchorman 2: The Legend Continues'' in New York and met Ferrell for the first time. New Year's Day marks the 100th anniversary of the first passenger flight between St. Petersburg and Tampa. The plane ferried one passenger at a time across Tampa Bay. Kermit Weeks of Fantasy of Flight in Polk City decided to build a reproduction of the plane to celebrate the historic flight. He plans to fly his aircraft Jan. 1 from St. Petersburg to Tampa. Two men are dead and another was critically injured during a Christmas Day shooting near Orlando. Deputies say an armed man showed up at the apartment complex and shot his way inside. A disabled Vietnam war veteran and his wife will pull the plug on their large display of Christmas lights because they aren't physically able to continue putting it together. The Tampa Bay Times reports Frank and Linda Sojka have created the winter wonderland in Citrus County for the past 18 years.